Ollie is our ArcGIS master, a thinker, a sports enthusiast and safe pair of hands. After completing his dual honours degree in Landscape Architecture with Planning (2009-2012), followed by a year in industry, he then returned to the University of Sheffield to complete his Landscape Master’s Degree (MLA) (2013-2014). Joining the team in February 2018, Ollie’s main interests within landscape architecture are focused on strategic master planning, urban regeneration and recreational landscape. 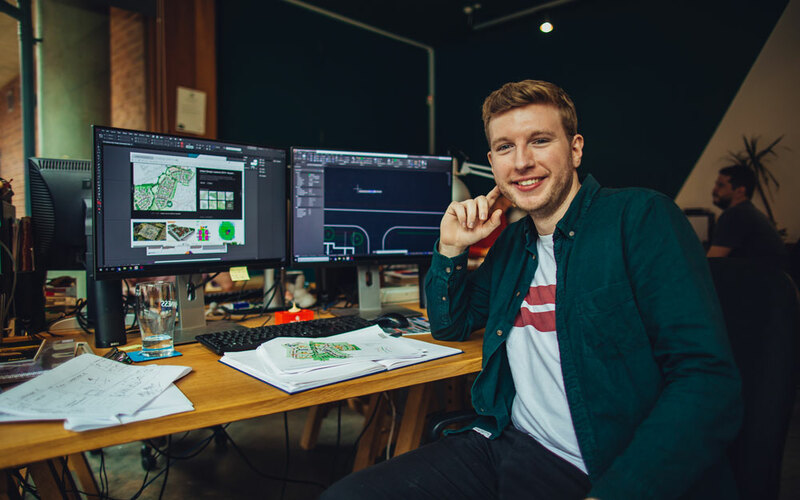 Before joining Urban Wilderness, Ollie worked for Mott MacDonald, as a member of a multi-disciplinary environment team, with a particular emphasis on landscape assessment and design within national significant infrastructure projects. Ollie is skilled at using ArcGIS, the Adobe Creative Package and AutoCAD and has a particular flare for photomontages and map analysis. Currently undertaking his Pathway to Chartership, Ollie is a licentiate member of the Landscape Institute.